I don't make New Year's resolutions any more. I find that the second I start saying things like, "I'm going to do _____ more" that's exactly when I stop doing them. This year I kinda sorta tried improving my health in two major ways. The first is that I quit drinking diet soda. The second is that I started hiking again. The latter statement is kind of a stretch, in that I only did it a couple times in 2016. Maybe three times total? At any rate, that's three times more than I did in 2012-2015. 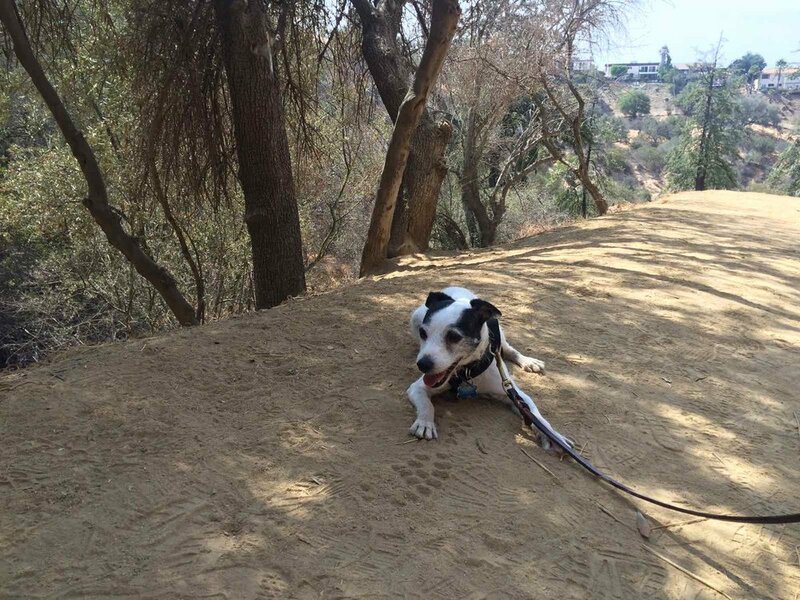 This is my favorite Griffith Park Hike. You start by parking at The Trails Cafe (2333 Fern Dell Drive) where you can fuel up on coffee and pie. There is a little playground and picnic area across the street - head past that and follow the trail up. At the bottom there is a public bathroom - the most important part about this hike. Most of the Griffith Park hikes do not have restrooms - this one has two. The second is at the top, by the Observatory. We went to see La La Land in the theater yesterday, and it reminded me of why I love this place so much. When we first moved to Los Angeles we hiked up here almost every weekend. We are currently packing our place that we have lived in for 11 years to move. We are switching apartments with our neighbors - it is the perfect relocation because it will be a totally new space, but with the same hood. I am really looking forward to all the new things that 2017 will bring; I am not going to say I'll be doing more or less of anything. I'm just looking forward to changes. P.S. Hollyweed Sign at Griffith Park this morning! We recorded a live video to capture it before they changed it back.